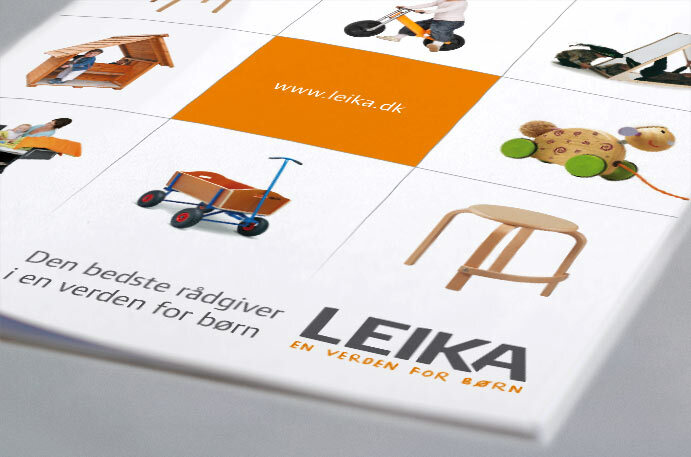 LEIKA is one of Scandinavia’s largest suppliers of equipment, toys and other products to schools, institutions and private customers. 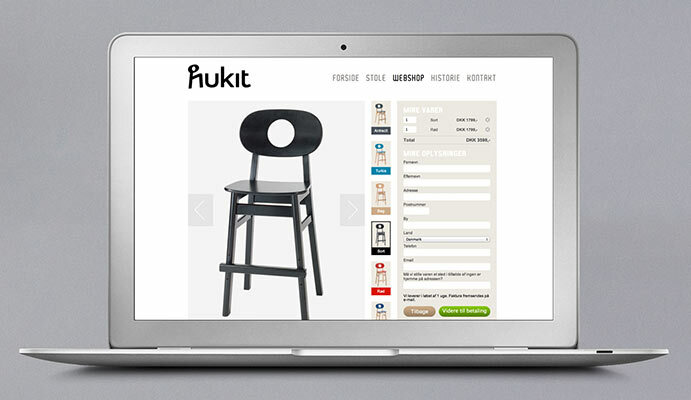 It was founded in 1980 and is familiar to all who work in Danish institutions – not least because of its classic Hukit furniture. 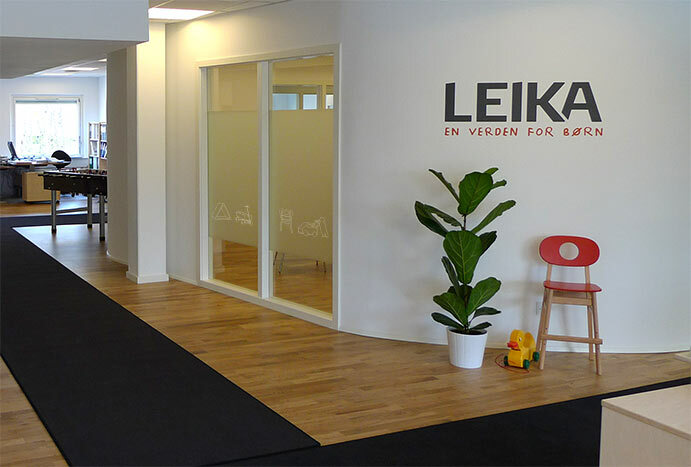 Our collaboration began with the development of a B2B/B2C web-shop which is fully integrated with LEIKA’s Microsoft Dynamics NAV-based ERP system. All ERP data (products, customers, discounts etc.) is automatically synchronised between NAV and the website. 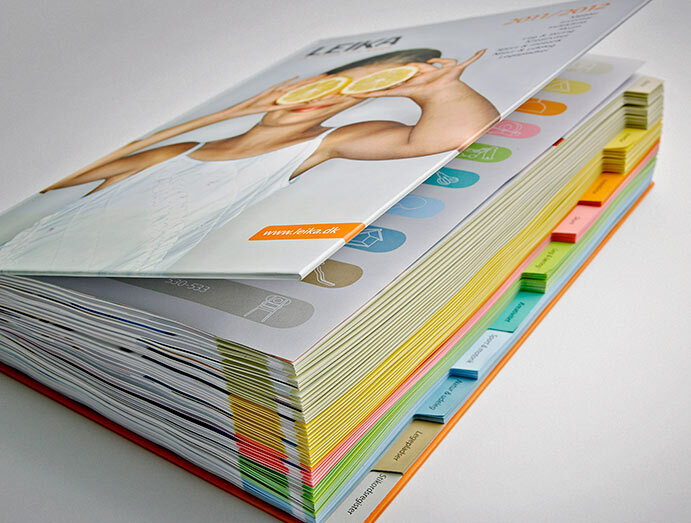 The same data is generated via an XML-based cross-platform publishing workflow from LEIKA’s main catalogue. 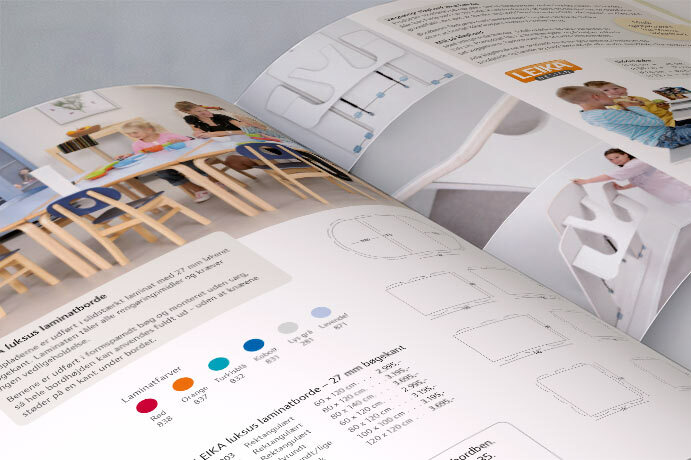 This means that we can produce the catalogue – which comes in three languages and has more than 500 pages – in a fraction of the time it would normally take. This solution ensures that product data can be updated at one location, and then be deployed automatically across the various platforms. 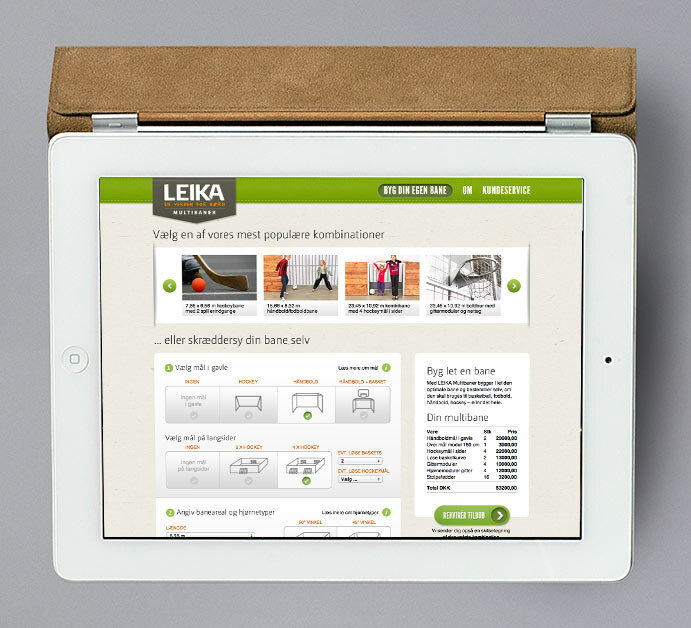 As well as the main web-shop at leika.dk, we have also developed a separate retail solution for the classic Hukit chair, and a configuration- and ordering tool for LEIKA Multibaner (multi purpose tracks). 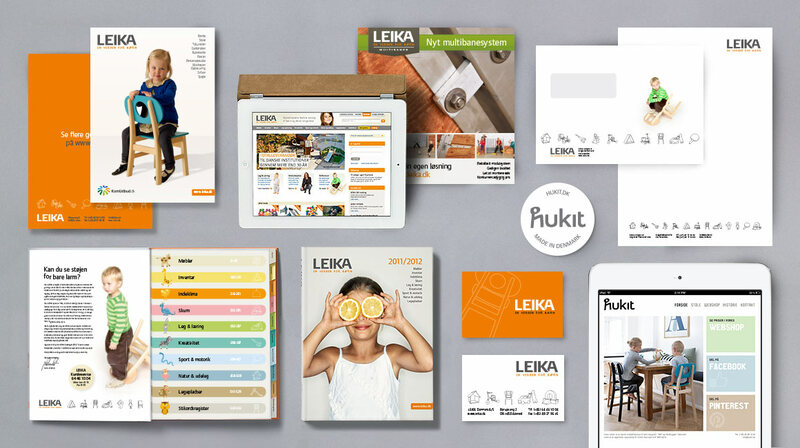 In 2007 we developed a new logo and visual identity for LEIKA, since when we have produced hundreds of adverts, brochures, direct mails and other material. 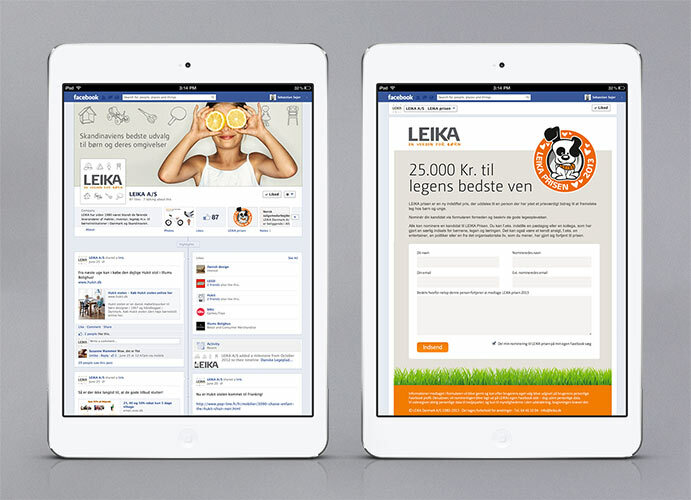 We have also assisted with Facebook apps, email campaign tools, packaging, signage, display material and much more.